1970년 서울 출생, 경희대 대학원 국문과 박사과정 수료. 1996년 경향신문 신춘문예 평론부문에 「아담의 글쓰기, 환유적 욕망의 변주」로 등단. 평론집 『미로 속을 질주하는 문학』이 있음. 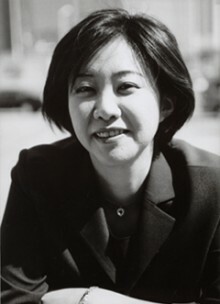 Born in 1970, Baik Ji-yon studies Korean literature (Ph D program) at Kyung Hee University. She made her literary debut with the selection of her criticism “Adamic Writing, Metonymic Desire” in the annual contest hosted by the daily Kyunghyang Shinmun. She has published Literature That Speeds through a Labyrinth, a collection of literary criticisms.